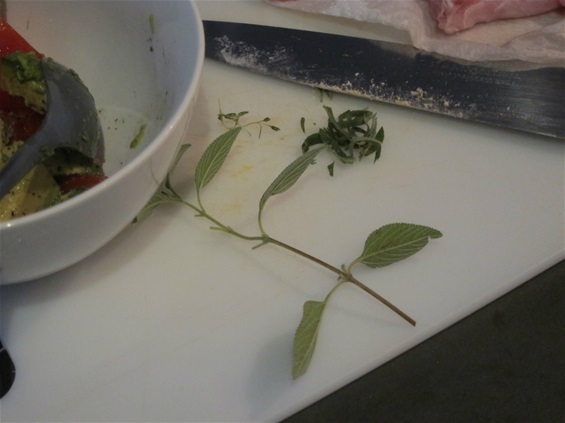 I dared snip a few leaves from my fledgling herb garden last night for the first time. Gary is misinformed about one thing (see Gary's page) -- apparently they don’t actually sell dirt here, just dirt additives. So I bought the additives 3 months ago, then looked for herbs. We moved, and the additives came with us. Then I found some herbs, stole some pots, and scooped up dirt with a kitchen spoon, mixing in the additives I’m pretty sure the way the Spanish speaking sales rep instructed. Last night was no culinary triumph, but it was a triumph of sorts all the same. I finally read your blog! So cool! It's finally stopped raining and snowing here. Your weather looks much nicer. Stop & see us on your way to LA!